IkamvaYouth KZN would like to thank The Answer Series for the donation of books towards our learners. These books have been really useful especially since the public sector strike began two weeks ago. Our learners have been using the books to practice and learn while they are not being taught. The books are also helpful for the tutors who are now able to see what the syllabus is for the year and know what to concentrate on, especially the basics for subjects like Physical Sciences, Accounting, English and Maths. IkamvaYouth is deeply concerned about the negative impact that the teachers’ strike will have on the education of our country’s learners. Many classes were already significantly behind in covering the curriculum, and the negative impact of this protest action is tragic. 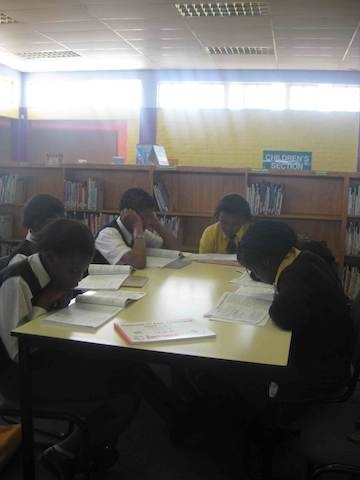 As the public servants’ strike intensifies, small groups of township school learners across the country are meeting in local libraries and community centres and working together to ensure they don’t fall behind while out of the classroom. We call on all South African citizens to step up and help mitigate this sabotage of our nation’s learners and our future. Please contact your nearest IkamvaYouth branch, and volunteer to support our learners through this challenging time. If you cannot afford to volunteer your time, we urge you to instead contribute the financial equivalent of a few hours of your time, to assist us with covering unanticipated extra transport, photocopying and coordination costs. While the unions and the state use learners’ education as bargaining chips, ikamvanites are refusing to let their futures be gambled away. 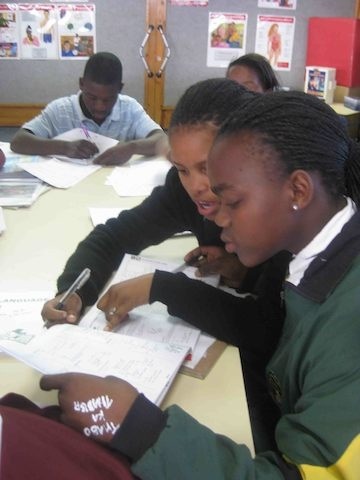 Showing wisdom and maturity beyond their years, our learners are supporting, encouraging and educating one another. They are instead helping each other get to grips with their school work by working through Answer Series workbooks, teaching one another as yet uncovered or particularly tricky sections of the curriculum, and working through past exam papers. Our learners are a real inspiration, as are the volunteers who’re stepping up and getting involved; encouraging and supporting all the way. IkamvaYouth acknowledges that teaching is one of the most important and difficult jobs in the world, and that South Africa’s schooling environment is highly contested, with multiple (and often competing) agendas at play. We fully support the irrevocable rights of educators and public servants to raise grievances about their salaries and working conditions through legitimate protest action, and believe that with these rights come responsibilities. We acknowledge that many teachers would far rather be in class teaching than on the streets demonstrating, and hope that they are able to return to their learners soon. Many educators are making plans to ensure that their learners are not prejudiced during this time and we want to commend them for their efforts. The learners of our country do not deserve the current treatment and lessons they are receiving. It is our responsibility to play our part and invest in our future. Come join us! This past Saturday the fifteen students that had the highest percentage of attendance had an excursion to watch Turn It Loose. 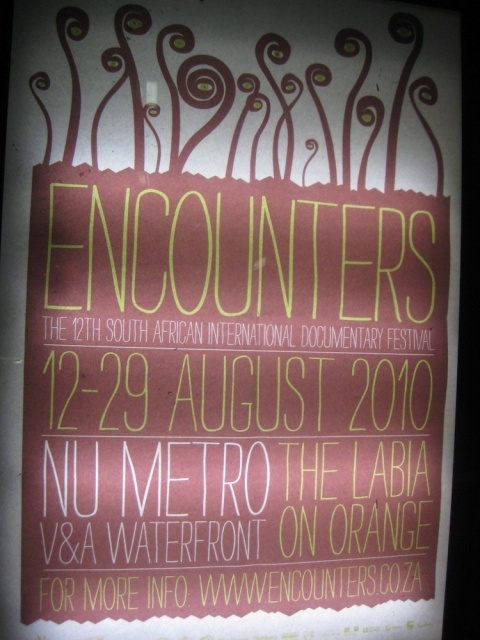 Turn It Loose is one of the many great films that is now playing in the Nu Metro theater at the Waterfront in the Encounters Film Festival. The film that we got to see was about the 2007 Red Bull B Boy Championship in Johannesburg. Turn It Loose told the story of five different break dancers that made there way to Johannesburg in 2007 to compete in the world championship of break dancing. Our learners loved watching this documentary as it was up beat and had great dancing. Turn It Loose will be playing again on the 28 of August if you are interested in watching this film. “Thank you, The Answer Series for giving us these books, they are helping us a lot as it says our key to matric success this is appreciable and unforgettable, keep up the good work” – Bongiwe, grd 10. IkamvaYouth Gauteng Learners could not hold back their enthusiasm as they received The Answer Series study materials which is enabling them to work independently and in small groups at a crucial time when a lot of teaching is being lost due to the Civil Servants strike. Teacher strikes can have a negative influence on the end of the year results but resources like the Answer Series books help the learners ensure that they keep primed and ready for their exams. IkamvaYouth Nyanga has ben fortunate enough to receive, from a very generous donation, the Answer Series. These books have already made a big impact on our learners. The books ranging from all subjects, English, Mathematics, Physical Science and Life Science will expand our learners knowledge. We are grateful for this donations that will help our present and future learners. From IkamvaYouth Nyanga Thank You Answer Series!!! !